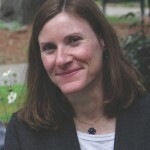 Kim Sheehan is Professor of Advertising at the University of Oregon in Eugene. Prior to joining the academy, she worked in the advertising industry at agencies in St. Louis, Chicago, and Boston. She has taught at Boston University (where she received her MBA) and the University of Tennessee (where she received her PhD). She’s a popular speaker, and recently was a keynote speaker for the American Diabetes Association and the Association of Alternative Newspapers. With Steve O’Leary, she is the co-author of Building Buzz to Beat the Big Boys: Word of Mouth Marketing for Small Business (Greenwood, 2008); their second book will be released soon. She has also authored or co-authored several other books, half a dozen book chapters, and over two dozen academic articles. She’s an avid fiber enthusiast, and the proud parent of two dogs, two cats, a bird and an alpaca. Follow Kim on Twitter @smlbizsmarts, on Facebook and her blog at www.grabbinggreen.com.